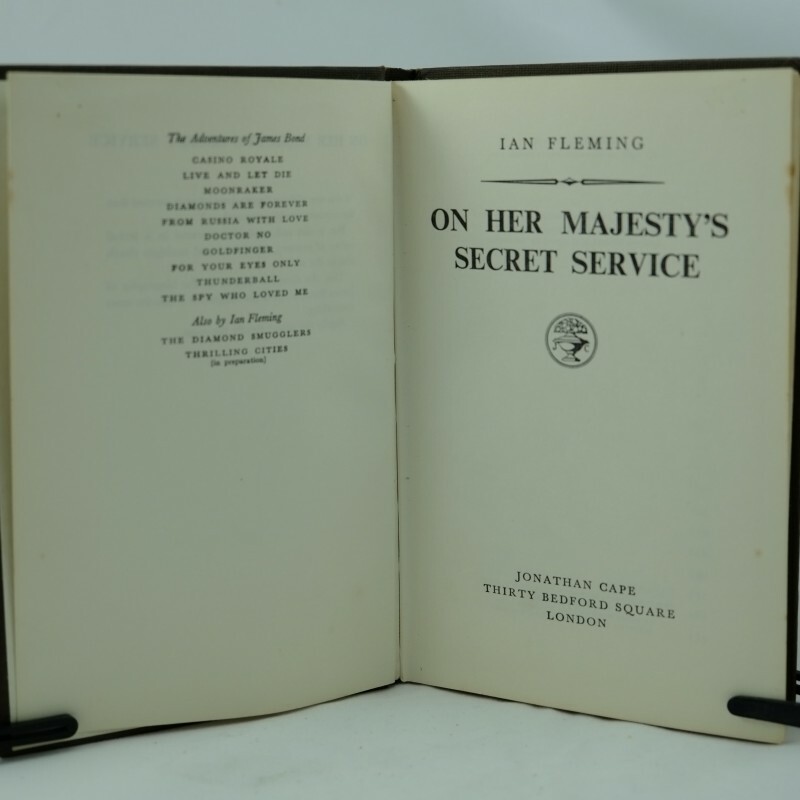 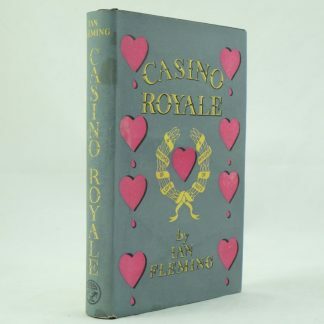 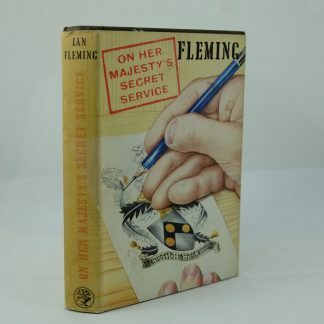 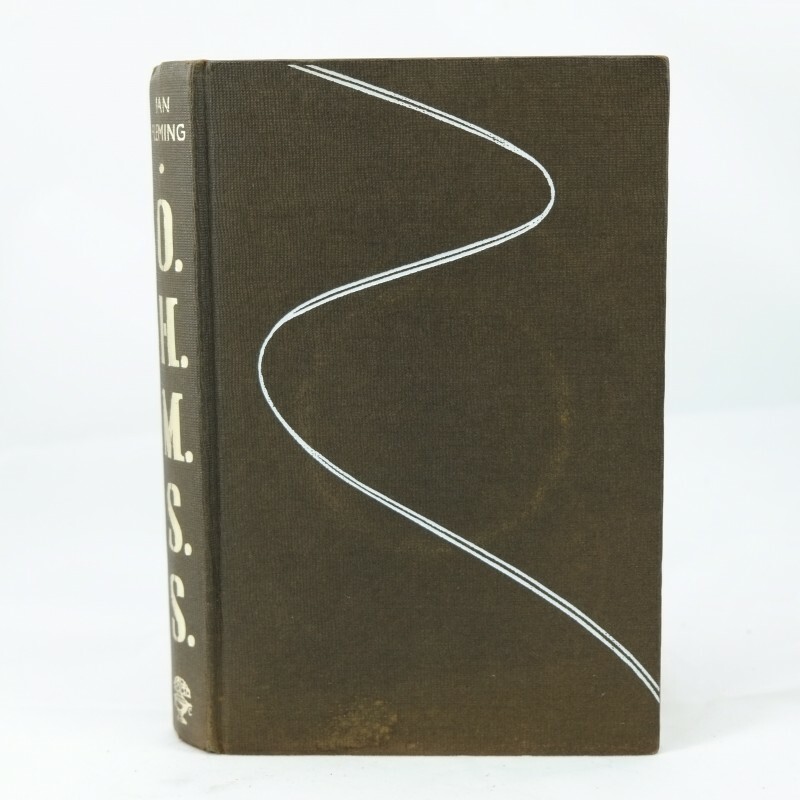 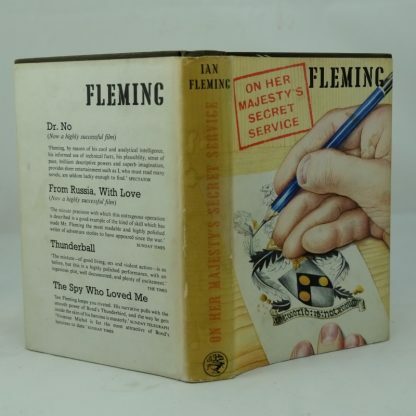 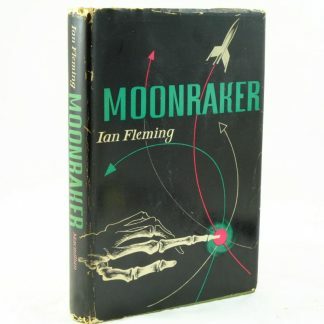 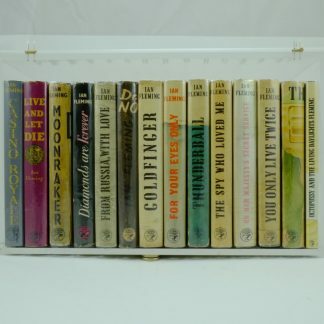 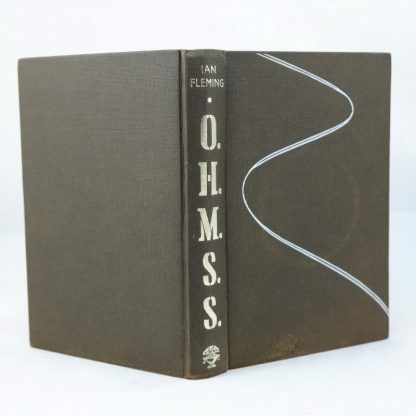 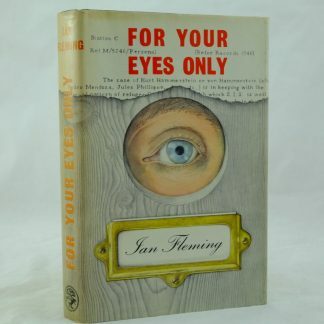 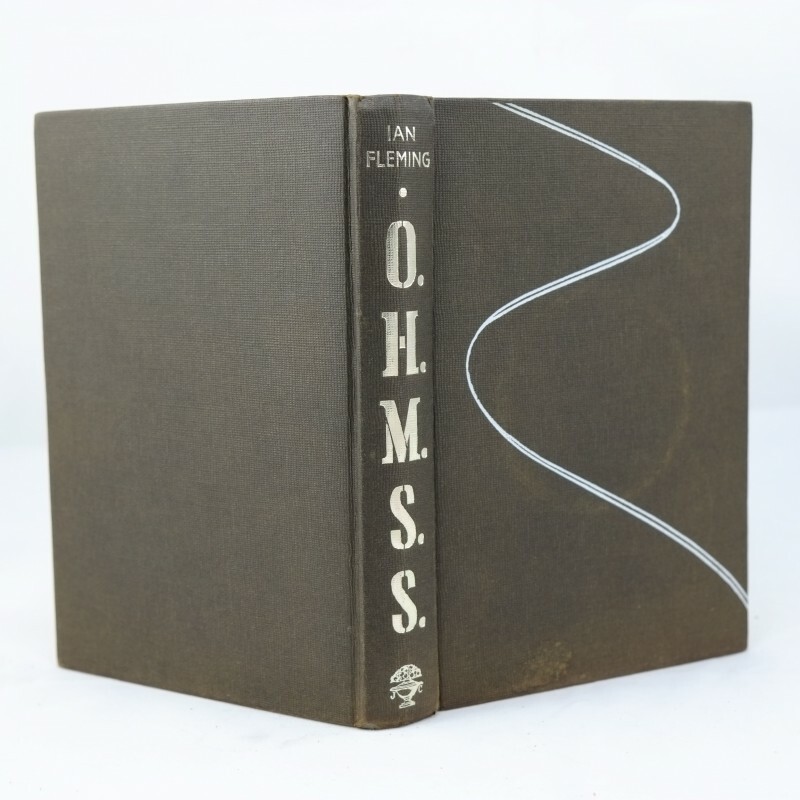 Ian Flemings’s tenth novel, On Her Majesty’s Secret Service, proved to be highly popular with over 60,000 books sold out in the first month. 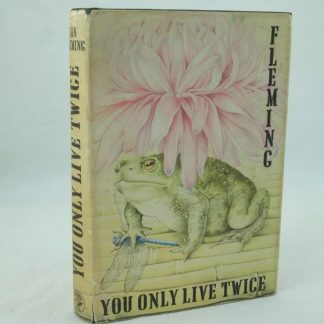 It is the second book in the “Blofield Trilogy” with Thunderball and You Only Live Twice. 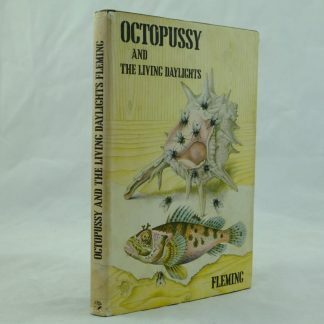 Artist Richard Chopping is the artist for the dust jacket. 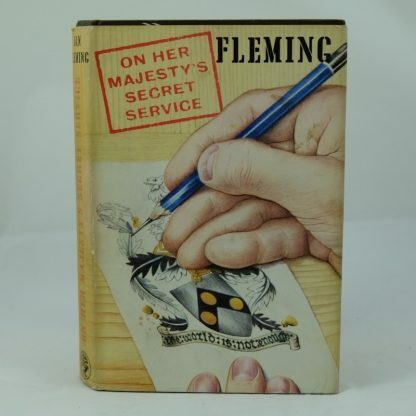 Matte jacket paper with hand and pen as front illustration. The front flap has a blurb about the book. 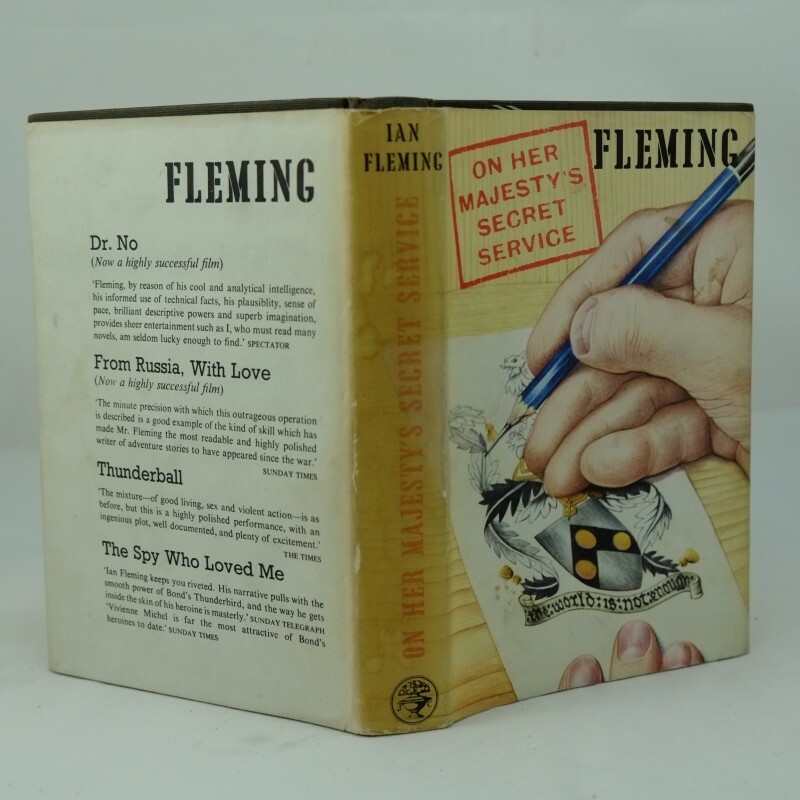 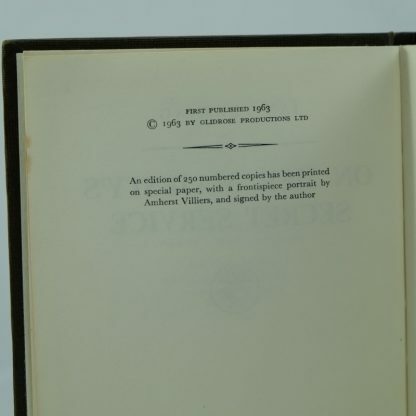 The rear flap has a photo of the author and a listing of his previous Bond titles up to The Spy Who Love Me. 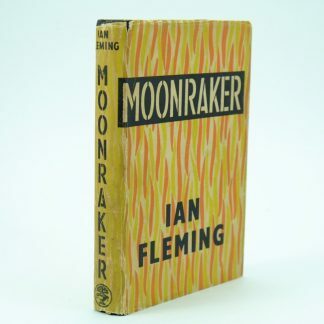 The rear panel has five reviews of the book.